The Ithaca College crew teams celebrated the programs’ 50th anniversary at the Cayuga Inlet on May 1. 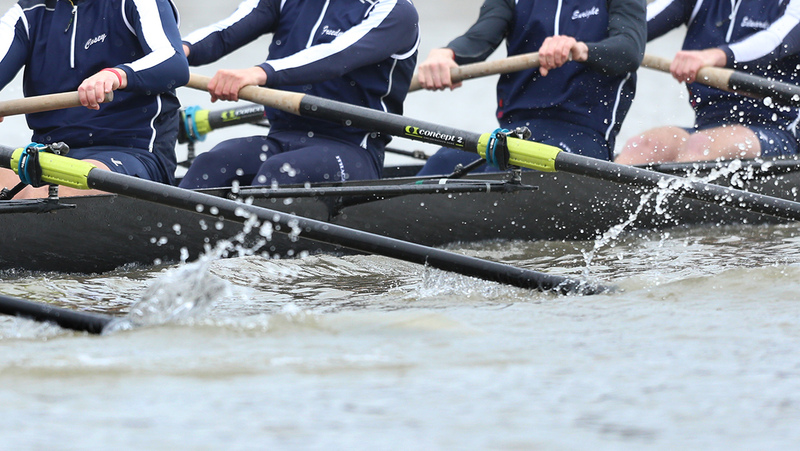 The Ithaca College crew teams competed against Marist College, Colgate University and Hamilton College on April 28. The Ithaca College men’s and women’s crew raced in their away regatta April 29 against Hamilton College, Marist College and Colgate University. The Ithaca College men’s lacrosse, women’s lacrosse, and baseball are celebrating their Senior Days on April 29. Ithaca College crew rows a successful weekend in Worcester, Massachusetts April 16. Karrie Moore took over the women’s lacrosse program on Sept. 2 after spending the last eight seasons at Cornell University.